NCAA suspends crew member for testing positive for marijuana – Royal Times of Nigeria. The Nigerian Civil Aviation Authority has suspended a crew member for testing positive for marijuana during random alcohol and drug tests on licensed aviation personnel. The NCAA said it conducted the test in compliance with a directive from the Director-General, Capt. Muhtar Usman, after issuing a circular to stakeholders in the industry. According to the regulator, 87 personnel from Air Peace, Medview Airline and Air Traffic Controllers of the Nigerian Airspace Management Agency were randomly tested as they were about to embark on flight operations and air traffic control duties. The NCAA said that out of the 10 pilots and 19 cabin crew from Air Peace Limited; nine pilots and 32 cabin crew members from Med-View Airline; and 10 licensed air traffic controllers and six trainees from the control tower and Total Radar Coverage of Nigeria Centre of NAMA, one crew member tested positive to a psychoactive substance, Tetrahydro-Cannabinol, also known as marijuana. Although the NCAA did not disclose the identity of the crew member or the airline, it, however, said he was immediately suspended from carrying out further flight operations. The NCAA said in a statement signed on Monday by its General Manager, Public Relations, Mr. Sam Adurogboye. “The crew member had violated the provisions of Part 2.11.1.7. (a) and Part 8.5.1.5(a) (3) of the Nigeria Civil Aviation Regulations (Nig.CARs 2015). “The offending air crew has been suspended in accordance with the provisions of Part 2.11.1.8(f) (i) and Part 2.11.1.7(c) of Nig.CARs 2015. His medical certificate and licence have been suspended for 180 days from the 5th day of April, 2017. “Accordingly, the respondent shall cease to exercise the privileges of the licence for the period of his suspension. “At the end of the investigation, the report of the consultant psychiatrist will be reviewed by its consultant psychiatrist adviser to enable it to consider possible restoration of the suspended medical certificate and licence. “The random drug and alcohol tests for licensed aviation personnel would be carried out periodically to rid the industry of the menace of crew members and air traffic controllers conducting flight operations under the influence of psychoactive substance, which could jeopardise flight safety. 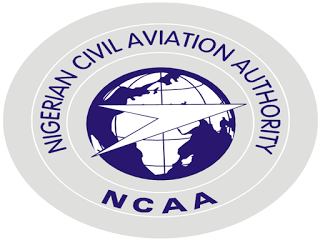 “The NCAA will continue to carry out consistent surveillance on the aviation industry to ensure full compliance with extant regulations. Failure will attract adequate sanction,”.